The third Draw of the 2018/2019 Draw Series was held in White's Cross GAA Club on Friday November 30th. The fourth draw of the series will be hosted by the Shanballymore GAA, on Thursday 13th December at 8:30pm sharp. 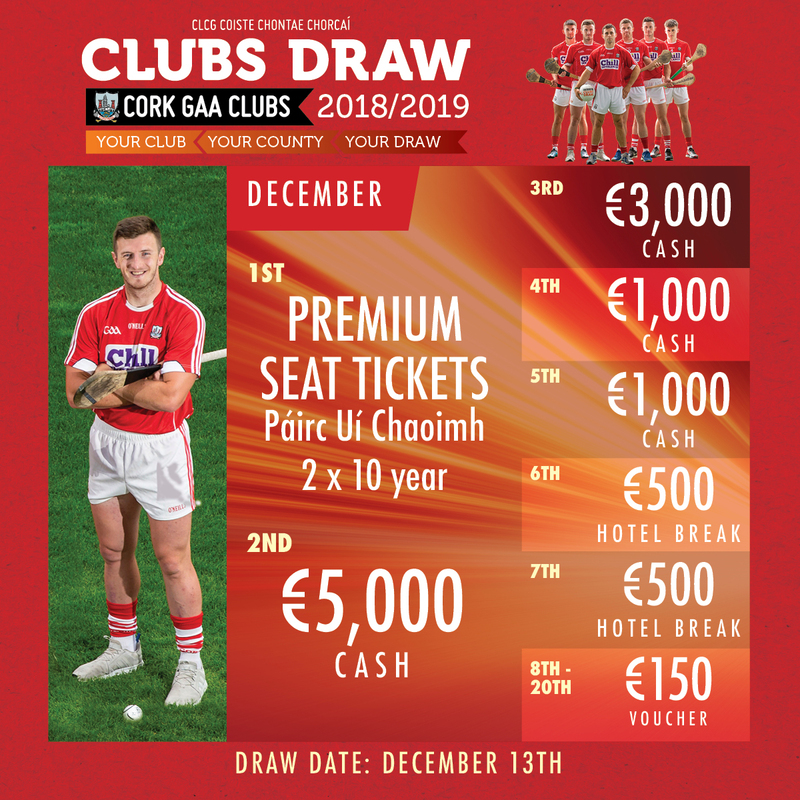 Cork GAA Clubs Draw Prize Fund of €450K p/year includes €20K top monthly prize , Pairc Ui Chaoimh 10 year Premium Seats, Hotel Vouchers & many more cash prizes.